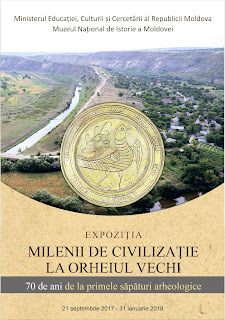 The National Museum of History of Moldova opened on 21 September the exhibition "Millennia of civilization at Orheiul Vechi. 70 years of archaeological research". The event is organized as part of the European Heritage Days. In 2017 are celebrated 70 years since the beginning of archaeological research in the micro zone of Orheiul Vechi. Center of thousands of years of history, heart and soul of Moldova, the Orheiul Vechi Cultural and Natural Reservation is a unique place where the elements of history and archaeology, ethnography and traditional rural architecture, cult places of worship and unforgettable images of the landscape have merged. The beginning of research at this site conducted by researcher Gh.D. Smirnov date back to postwar years of 1947-1948. Later, at this site worked well-known Moldovan archaeologists I. Niculiță, P. Bârnea, Gh. Postică, T. Reaboi, E. Abâzova, T. Arnăut, O. Munteanu, A. Zanoci etc. 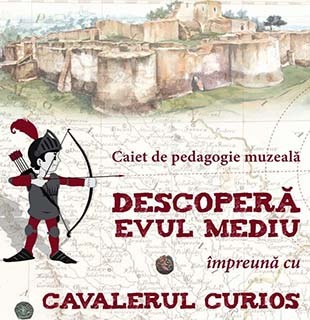 For many archaeologists in the Republic of Moldova, the archaeological campaigns in Orheiul Vechi became a visit card for future professional activity. The originality of the exhibition dedicated to Orheiul Vechi consists in the fact that most of the presented pieces are exhibited for the first time; however they have been long known and studied in the science community. The exhibition brings together a series of objects belonging to different civilizations that have existed here, being structured in two compartments: the ancient period in Orheiul Vechi and the medieval period. The first compartment includes archaeological remains discovered on the territory of the Butuceni Getae fortress. They represent various objects from the material culture of the native population, such as clay pots, tools, weapons and cult objects. The commercial relations they had with the Greek merchants are expressed through the many fragments of Greek vessels, various containers for keeping products and everyday vessels. The impressive amount of Greek amphorae of the total ceramic fragments found (about 20%) demonstrates the importance and significance of this Getae fortress for the barbarian world in the given region along with the discovery of the first and only sanctuary - a Getae calendar which confirms the importance of this habitat as a political, social and economic center of the Getae communities in the region. The second compartment is dedicated to the medieval civilization from Orheiul Vechi. Archaeological research confirmed the urban character of the settlement during the Golden Horde (14th century) and its name - Şehr al-cedid // New Town. The collection of materials includes luxury ceramic pots, a Chinese porcelain bowl, Kashin-type import pots specific for the Golden Horde, aqueduct tubes, bone and metal weapons and tools. The two large warehouses found at Orheiul Vechi are exhibited: one consisting of agricultural pieces and the other of harness parts and household objects. Monetary discovery is represented by local issues associated with coins coming from different states, but also moneyboxes, weights, plates for scales. The Moldavian period (15th - 16th centuries) is represented by ceramic vessels, agricultural tools and household appliances made of metal, stone, bone and ceramics, as well as weapons, tiles, crosses and candlesticks. A special place in the exhibition belongs to two bronze cannons from the 15th century which are unique pieces for the entire Romanian space. 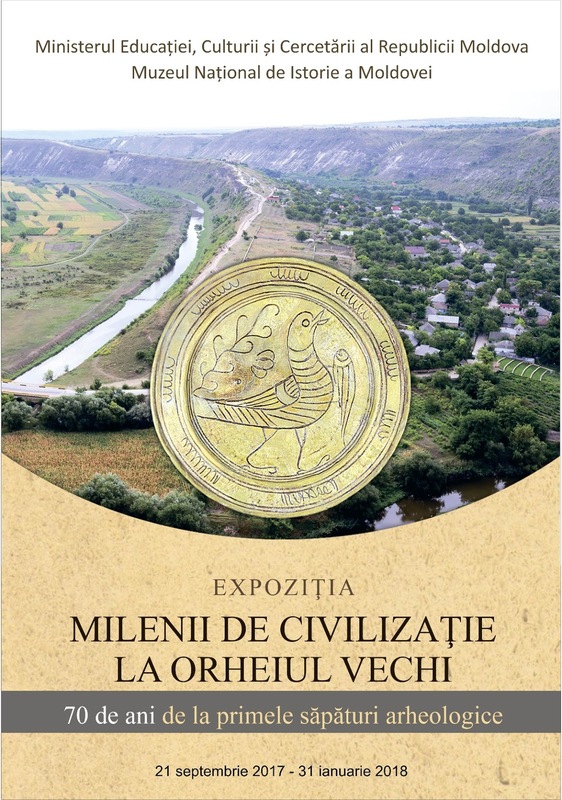 In the exhibition are displayed also a series of pictures that reflect the process of archaeological research, as well as photographs of the most beautiful artifacts and landscapes of Orheiul Orhei.